The Professional Roulette System Casinos Are Trying To Ban. The Only Limit Is What You Can Win Without Being Detected. We'll show you a roulette system that has won millions. It has won more than any other professional roulette system. You are right to be skeptical because most systems are scams. But take the time to see all proof, and you'll see this is the real thing. It sounds unrealistic, but it's absolutely true. 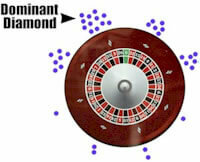 With the right approach to beat roulette, large sums can and are being won. One of the more recent cases is a single player who won over $6,000,000 in an Australian casino using the techniques we teach. This isn't an isolated case. Some large wins make headlines, but the vast majority are known only to casino-insiders who review surveillance footage. With a professional system, the only limit to winnings is what you can earn without being detected. If you're detected, the casino takes steps to make winning more difficult. They can even close the table on you or ask you to leave. Still it's easy enough for organized players to earn very large sums without being detected. Our system is a unique and recession-proof way of making money in your spare time. The best proof is testing it for yourself. Subscribe to our free course and we'll teach you a some of the best legitimately effective methods to beat roulette. These are the same techniques that have won players millions. We'll even provide news articles to prove it. Some of these methods are taught by professional players for $5,000. But you'll learn them for FREE from our course. The system beats approximately 50% of wheels in modern casino conditions. Usually not being able to beat a wheel has more to do with the casino conditions than the wheel itself. For example, a wheel that spins too infrequently is impractical to play (such as spin every 5 minutes). You don't need flawed wheels (biased). The patterns our system utilize occur on new or old wheels. Either of these wheels are usually ok. If your casino has different wheels, the chances are they're even easier to beat. 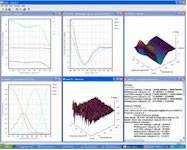 Test with the free-trial systems. Especially test with the "visual ballistics" system in the free course. 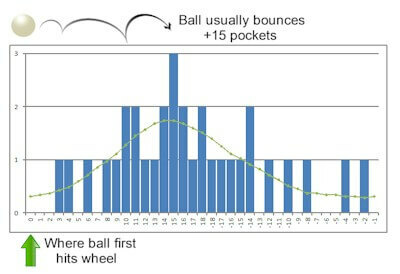 It gets predictions after the ball release, whereas our full system gets predictions before the ball release. So the free course system is more difficult to use, but it at least gives you an idea of how spins are predictable. Remember to do these tests on a few different wheels. You'll find some wheels are clearly much better than others. We may already have players there, and can let you know results you can expect. We are not the original people who designed the system or the software. They didn't have time, so we arranged to sell it on their behalf. We began our roulette experience by becoming one of their players, just as you are considering. The system's creators focus on roulette computer use, so they don't need the system anymore. 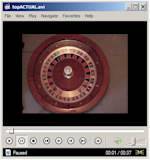 Roulette computers are quicker to use. We use the roulette computers ourselves too. But we also have spare time to offer the system. Basically we don't need the system. But it is still effective so it is better to sell it to others (for a reasonable price) than let it sit unused. Yes but only if the wheel is real. 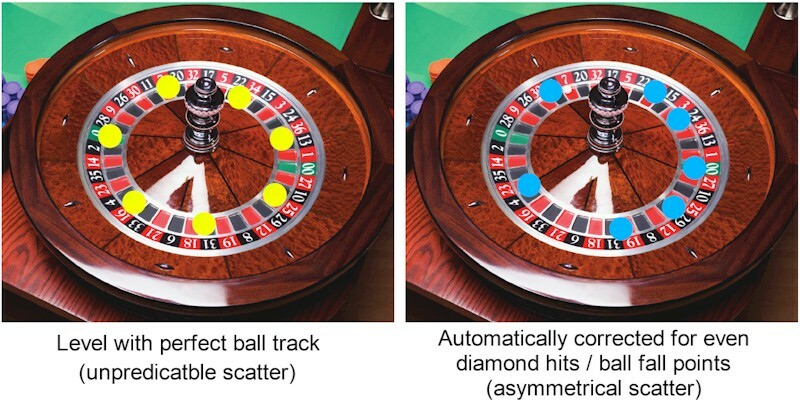 Most reputable online casinos offer real wheel roulette. We prefer real casinos ourselves, so don't maintain lists of suitable online casinos. However, many of our players only play at online casinos. 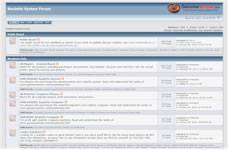 You can contact them via the player-forum to ask them which online casinos they find best. But most players prefer to keep this information private, unless you share something in return. Otherwise Google "live dealer roulette online casinos" and you'll find many. You bet BEFORE the wheel spins. Because the vast majority of roulette players lose. About half of modern wheels. The software runs on any device that has Internet access. This includes Windows, MAC, iPhone and Android. We provide the free course as a trial, which includes less powerful but still effective methods to beat roulette. This is so you understand roulette is predictable. But we don't provide a trial of the full system because it would require disclosure of confidential information that only our players access. Once we did allow free trials of the full version, but many people joined the trial multiple times under different names. So we dont allow trials of the full version anymore. The information and especially free course we provide is enough for you to see our methods work. The full system including everything you need is US$2,500. Its might seem a lot but it's an investment that's genuinely capable of changing your life. Some players earn over $5,000 each time they play. The only real limit is what you can win without being banned (basically don't get greedy). Still it's not a magic tool to make money. It's like any business where you must work to make money. But it's a business that doesn't need products, employees or advertising. In most cases it's also TAX-FREE INCOME. It's a much simpler way to make money than most businesses.